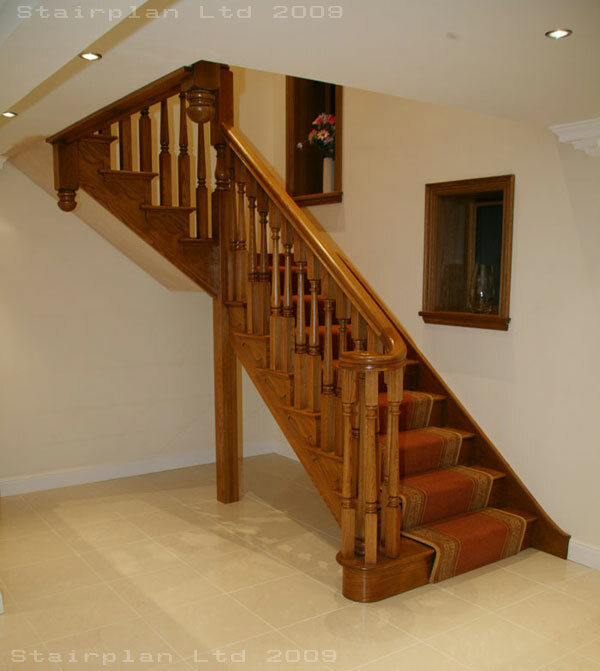 This Oak Cut string staircase is a high specification bespoke staircase, featuring 55mm Oak turned spindles, heavy Oak turned Newel posts and a Ascending Volute detail to the handrail at the Entry. 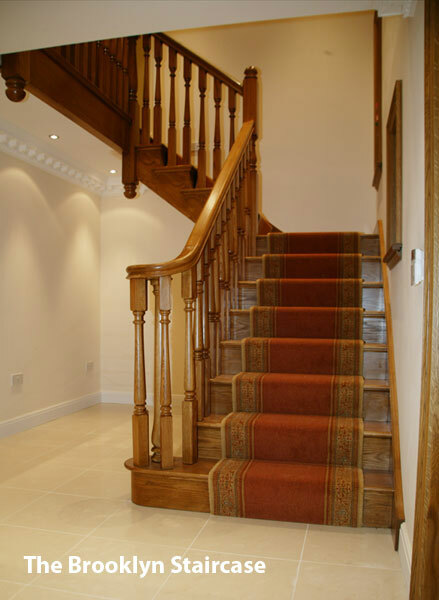 The Brooklyn staircase is similar in a number of ways to the Prescott Staircase in terms of specification the main difference with the Brooklyn staircase is we have tried to standardise on a number of the components rather than everything being bespoke as on the Prescott staircase. 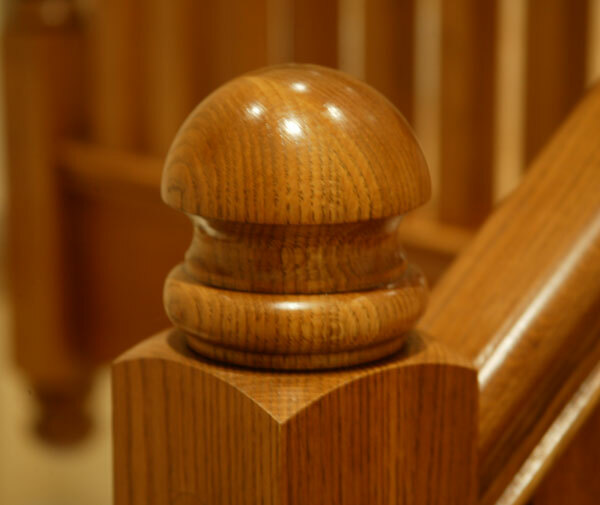 A ascending volute is far more complex than a standard volute as it requires a wreath section of handrail - this enables the volute to finish at a lower height to a standard volute. 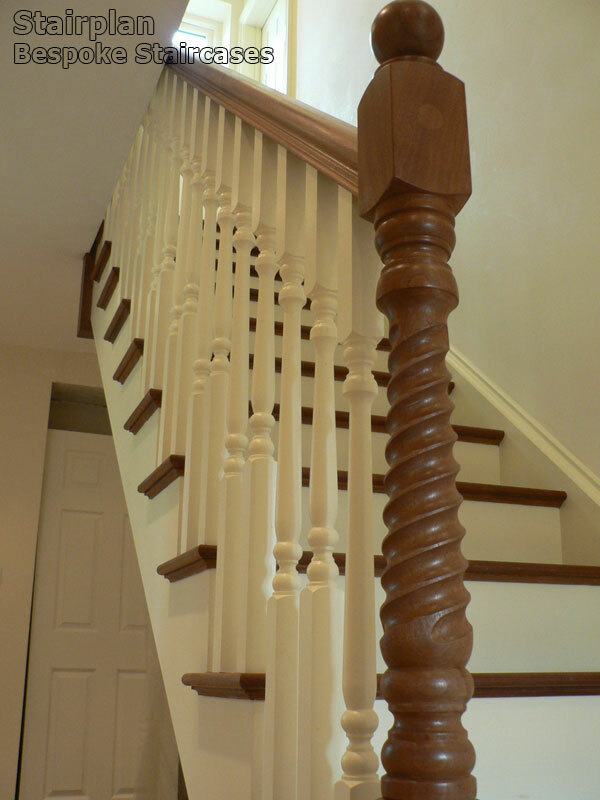 The result is the volute is more sturdy than a standard handrail volute and it is far more comfortable to use. 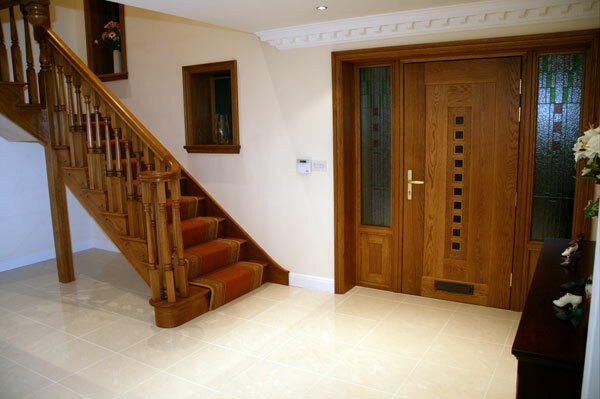 What was there before ? 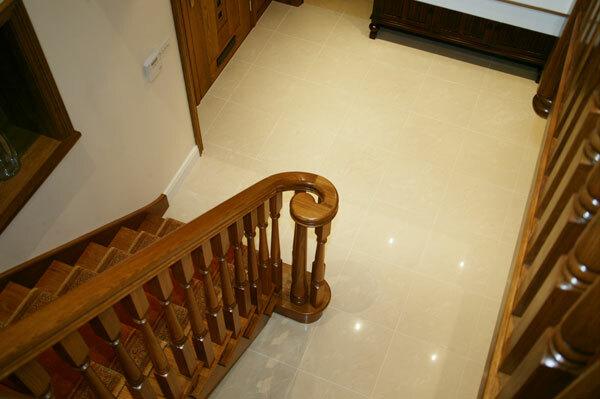 see the staircase that was here before this hallway was transformed. 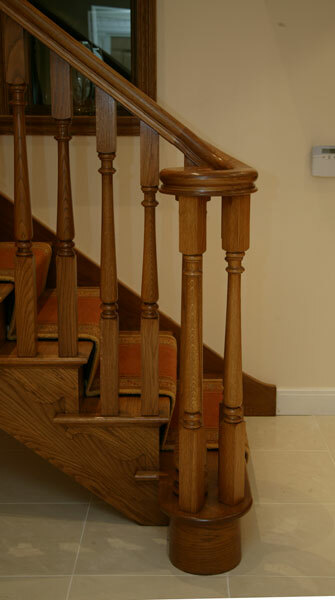 On this staircase we have a Mushroom newel cap - the turnings on this staircase are turned in-house at Stairplan - Having the facilities and skills in house enables Stairplan to have complete control of your staircase project and prevents delays often caused with thisd party stairparts suppliers. 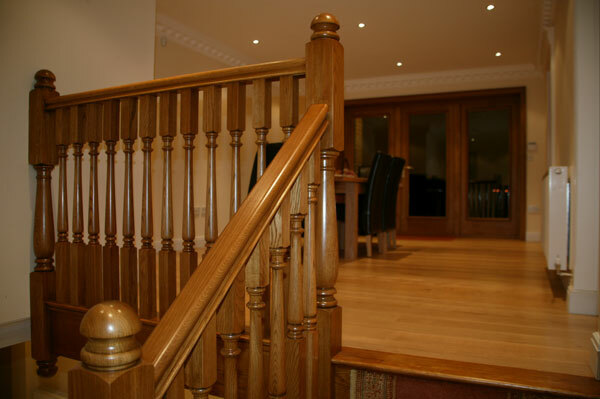 This Staircase only required a short run of landing balustrade. 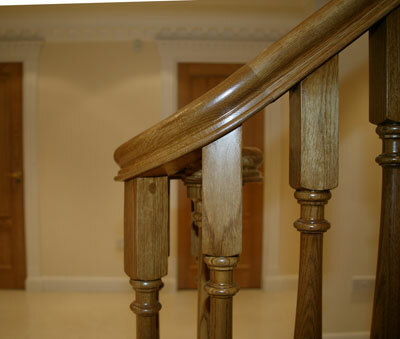 The finish on this staircase is a Medium Oak colour. 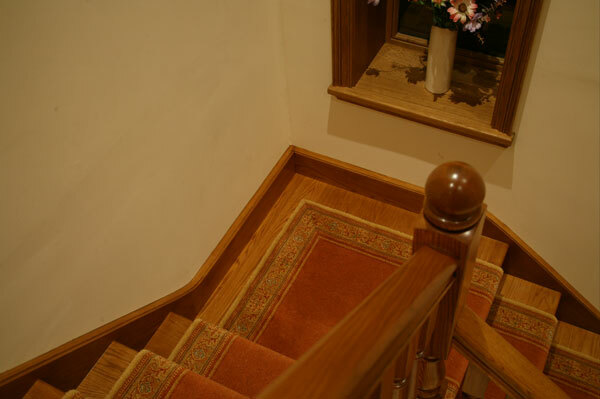 At stairplan we intergrade the quarter landing into the staircase. 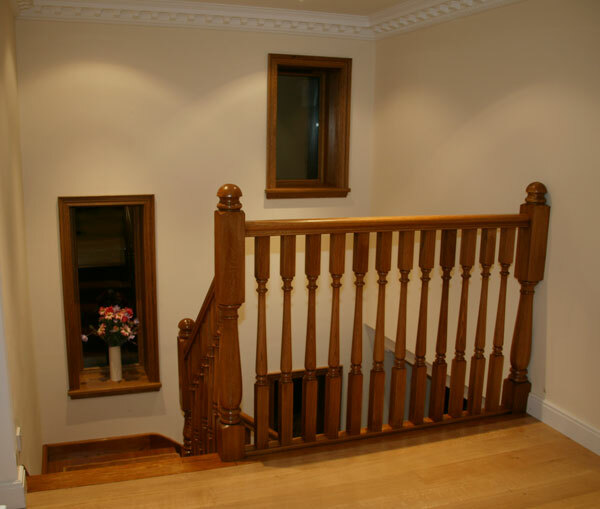 Home | Stairs | Stairparts | Terminology | Workshop |Staircase Plans | Jobs at Stairplan | Axxys Stairparts | Visit the Showroom..